Don’t Lose Your Journal During iOS 8 Update! iOS 8 is here (or almost here)! Before updating, please take some steps to ensure your training history is safe. While the vast majority of iOS updates happen without a glitch, sometimes an error happens during the update in which customers end up losing their workout Journal. Our apps provide an easy way for you to backup your workout Journal via our RunHelper Connect service and ensure you don’t lose your training history. So here is a short guide for how to go about updating your iPhone / iPod touch and minimizing the risk of loosing your workout history. 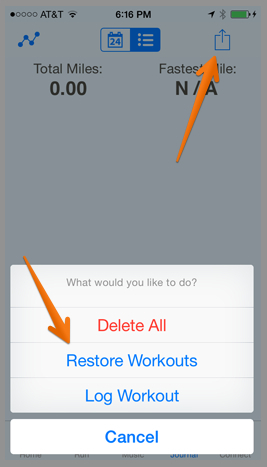 Note: If you are already using RunHelper Connect, you are all set as your workouts are automatically backed up (unless you manually turned auto backup off). 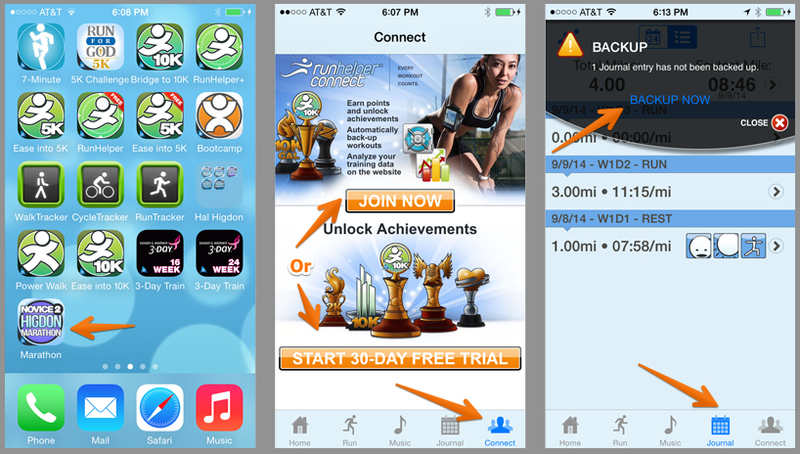 Tap on the Join Now button and create your RunHelper Connect account. All users get a 30-day free trial! See this article which describes various options on backing up your device. 3) You are now ready to install the new iOS! If the iOS update process goes wrong and you end up with a blank Journal screen fear not! You can easily restore your Journal right from the app. Here are the steps to follow. Ability to see all your workouts from all of your Bluefin apps at one place.